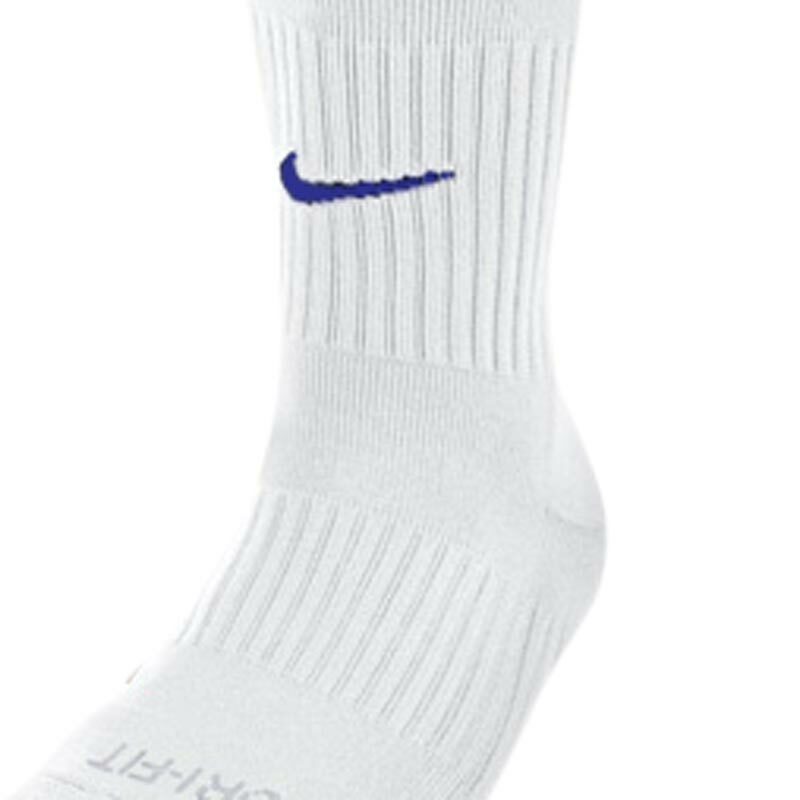 The Nike ® Classic II Football Socks are a comfortable traditional knee-high sock with Dri-FIT technology allowing you to keep cool, comfortable and dry. Articulated specific footbed for a superior fit. Fabric: Dri-FIT 97% nylon/3% Spandex. Bought 24 pairs (vivid Pink and Volt Yellow) for a rugby tour the boys wore one of each colour - still wearing them to training (and match days!! need to have a word with them about that) great price and service from Newitts. Over the years I have purchased several pairs of these football socks and they never fail to impress me with their quality and durability. I usually replace them every couple of years but at such a low price they really are a very good buy. The socks were the perfect size, colour and were delivered quickly however I am living in Belgium. Thank you very much ! Great quality and fit, very happy! 5 out of 5 Great again!! Second time I have bought from here and great both times!! The socks are great and what I had expected including the size being right. Excellent hassle free service as usual. 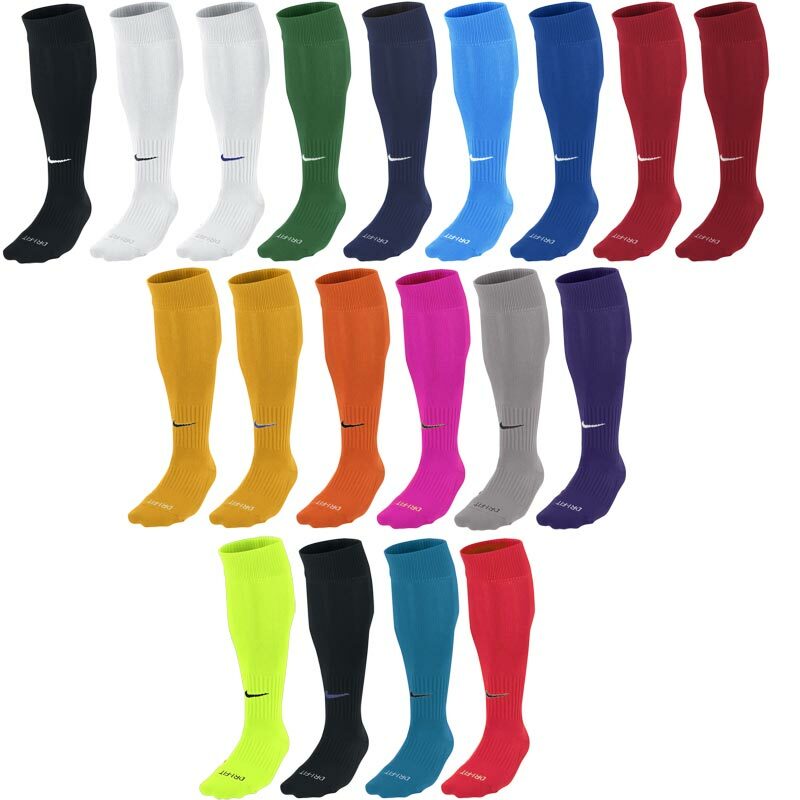 I’ve ordered a few time’s from Newitts and have been very satisfied each time with the value and service received, so much so I sent the website link to the other parents of our boys football team so they can stock up on socks, shorts, jackets etc. Brilliant Socks, great price and came super fast! can't complain will definitley purchase from this organisation again! Great service ordered arrived and worn in a match the following Saturday as required.....thank you! Great fit, comfy and do not shrink or go stiff after washing. 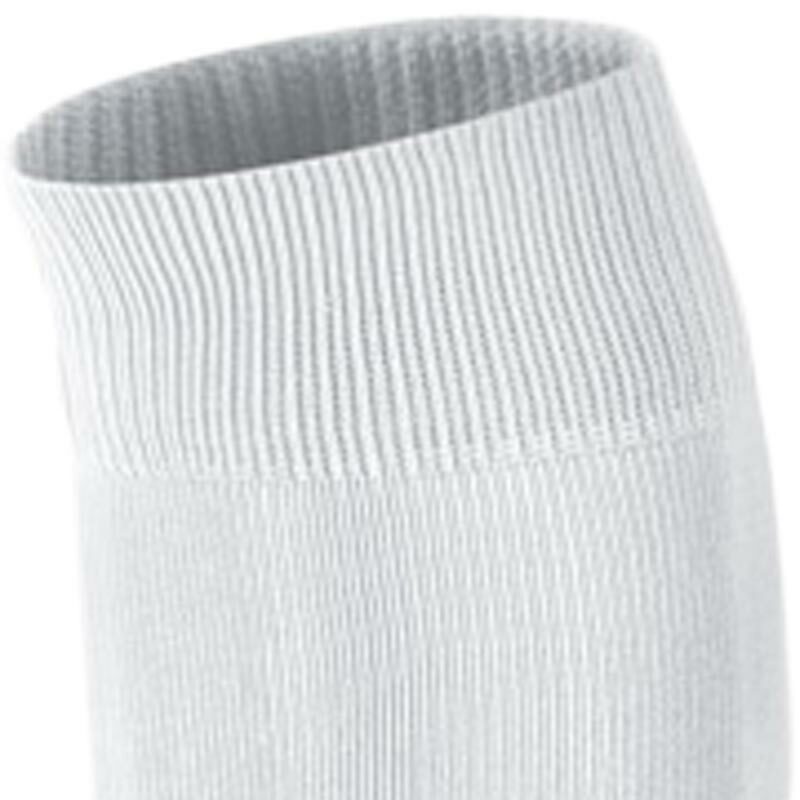 Lovely socks, easy to put on and off unlike most other football socks! 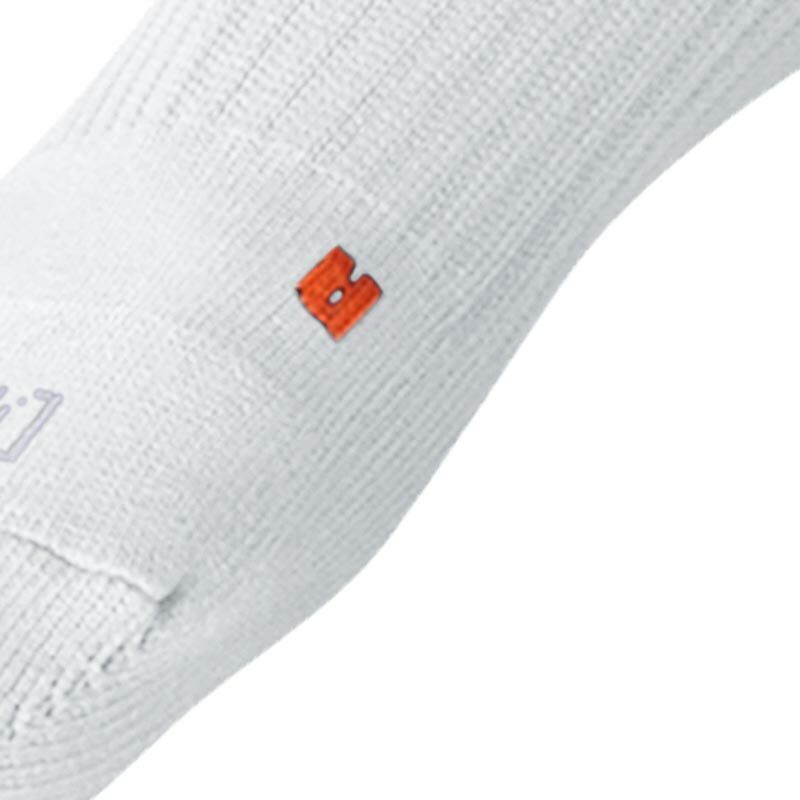 Our football team having put up with below par, tight and narrow socks for a couple of years were delighted when they used the Nike Classic socks bought for this season. Roomy and comfortable with good cushioning and marked left and right for a bit of extra space in the right place . Not expensive either ! 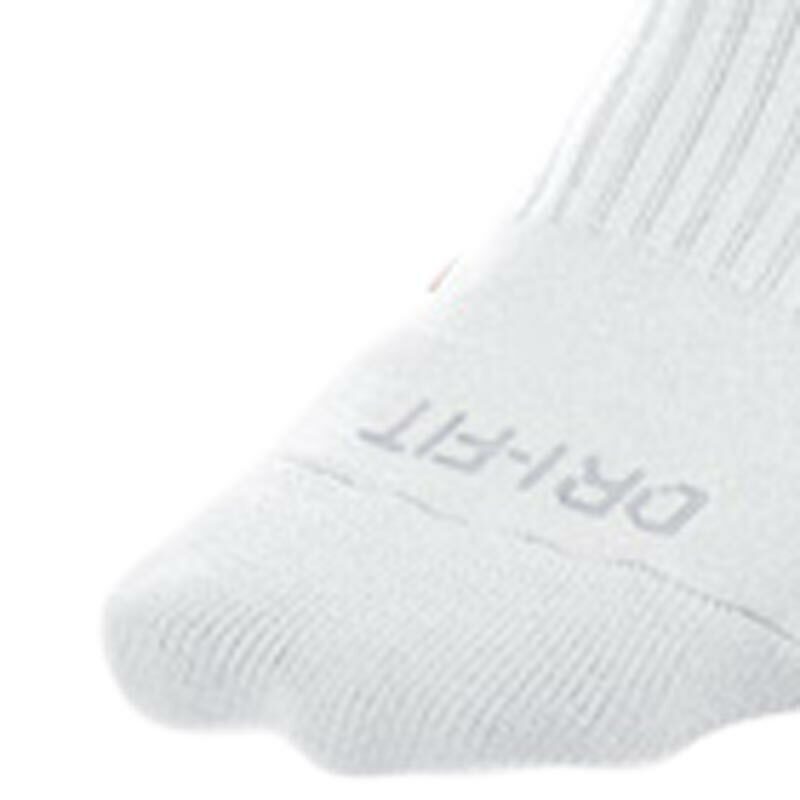 Very good socks, lots of variety and quite durable. Only thing is I find they tend to shrink early on so id be wary when buying sizes. 5 out of 5 Nike Classic II football socks. As always arrived on time and perfect for my Grandson Good quality and long enough for him at 15 years old and 6' 7 inches tall. very happy with the colour,these wash well and are perfect for the grandkids football kits.A lot cheaper than if purchased from the club store .thank you. perfect fit and colour that match his football teams colours. Will recommend to other parents these socks and site. They do not shrink when tumble dried either. I ought these to replace my son's football team socks. They matched perfectly. Word of warning, when you wash these socks, don't soak them beforehand otherwise they lose their gold colour. Just bung them into the washing machine, however dirty, and they don't shrink/lose their colour.